The Georgetown women’s basketball team (11-11, 5-6 Big East) will square off against the no. 8 Marquette Golden Eagles (19-3, 10-0 Big East) on Friday night at the Al McGuire Center. To extend their two-game winning streak that began last weekend at home, the Hoyas will have to get through the surging Golden Eagles, who have won 10 straight after losing to no. 4 Notre Dame (21-2, 8-1 ACC), 87-63, on Dec. 22. 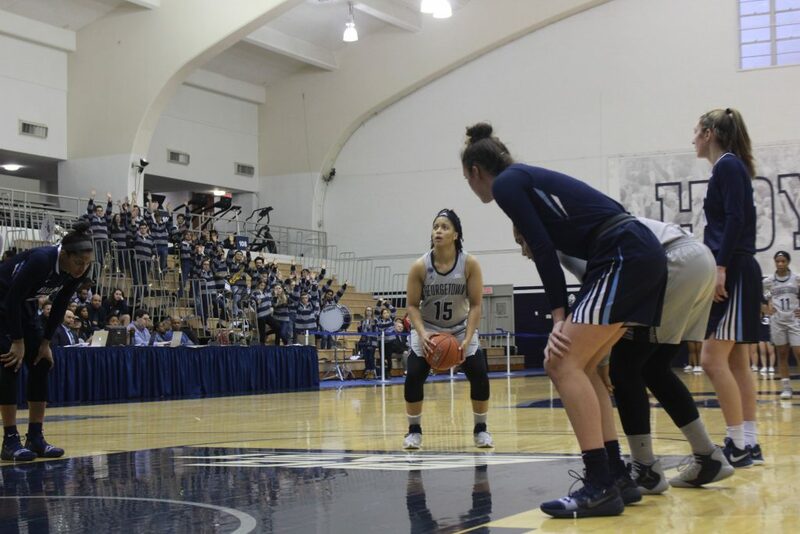 In the first edition of this matchup earlier this season, the Hoyas held a double-digit first-half lead but faltered late, falling, 72-62, at McDonough Arena. 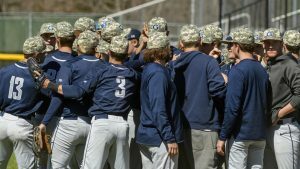 Georgetown hosted two Big East foes in Creighton (10-12, 4-7 Big East) and Providence (13-10, 5-6 Big East) last weekend, winning both games to climb back to .500 after an 0-2 road trip the weekend before. Against the Bluejays, graduate student guard and leading scorer Dorothy Adomako led the way for the Hoyas, scoring 23 points and pulling down 13 rebounds. Senior guard Dionna White had an impressive day, stuffing the stat sheet with 13 points, eight rebounds, seven assists, and five steals. 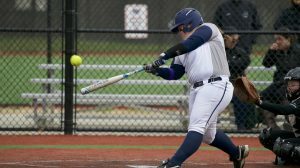 GU led throughout as they put the Bluejays in their rearview mirror in the Big East standings. 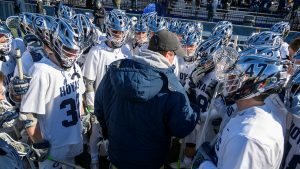 Against Providence two days later, the Hoyas picked up where they left off on Friday. Adomako recorded 20 points and 10 rebounds, while White remained a key figure on both ends with 19 points, eight boards, seven steals, and five assists. Graduate student guard Mikayla Venson got in on the action with 16 points, while junior guard Morgan Smith recorded 11 rebounds. The Hoyas pulled away thanks to a late run courtesy of Adomako, White, and Venson to move into a tie for sixth place in the Big East with the win. Though Marquette has steamrolled most of their Big East competition, their road matchup with DePaul (15-7, 6-4 Big East) last weekend was anything but given. After a 37-point DePaul third quarter brought the Marquette lead to within four, timely free throw shooting spared the Golden Eagles their first conference defeat. A pair of senior guards, Allazia Blockton and Danielle King, led Marquette’s balanced attack with 25 and 18 points, respectively. Head coach Carolyn Kieger’s team struggled from beyond the arc, shooting 20 percent, but they were hyper-efficient on their twos to reach the 90-point mark for the seventh time this season. The Hoyas will look to exact their revenge at 8:00 p.m. ET. The game will be broadcast on Fox Sports 1 with live stats available at guhoyas.com. Follow @GUVoiceSports on Twitter for coverage of all winter sports at Georgetown.